RIYADH - Saudi authorities have released the brother of billionaire Prince Al-Waleed bin Talal after nearly a year in detention, family members said Saturday, as the kingdom faces international pressure over journalist Jamal Khashoggi's murder. "Thank god for your safety," his niece Princess Reem bint Al-Waleed tweeted, posting additional pictures of the released prince with other relatives. The government has not offered any public explanation for his arrest or the conditions of his release. The Wall Street Journal reported that he was detained for 11 months for criticizing the biggest crackdown on the kingdom's elite last November that saw dozens of princes, officials and tycoons detained at Riyadh's Ritz-Carlton hotel. 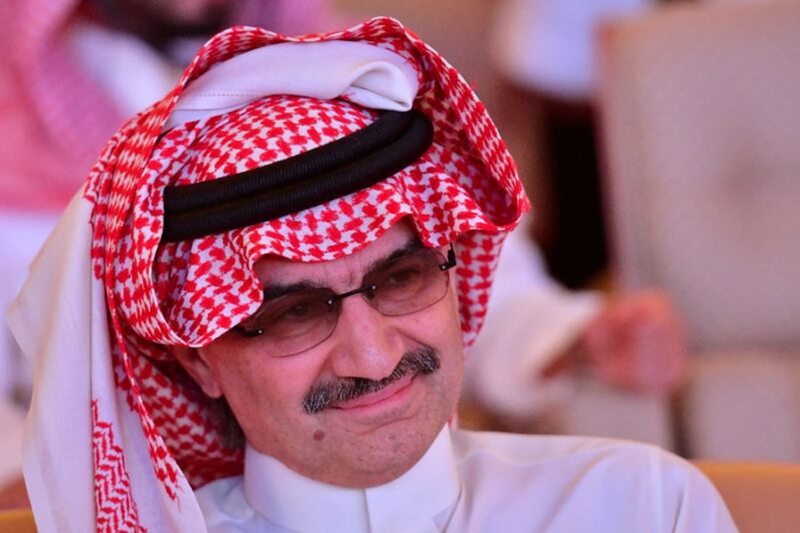 Prince Al-Waleed, dubbed the Warren Buffett of Saudi Arabia, was among those rounded up and was released in early January after an undisclosed financial agreement with the government. It appeared similar to deals that authorities struck with most other detainees in exchange for their freedom. Prince Khalid's release comes as the kingdom faces international outrage over the killing of Khashoggi inside its consulate in Istanbul on October 2. It is widely seen as the worst diplomatic crisis facing the kingdom since the 9/11 terrorist attacks. Turkey's President Recep Tayyip Erdogan on Friday said the order to murder Khashoggi came from "the highest levels" of the Saudi government, without directly naming the crown prince. The government now appears keen to shore up internal royal family support to defuse the crisis. Authorities could also potentially release other elites still in detention, including former Riyadh governor Prince Turki bin Abdullah and billionaire businessman Mohammed al-Amoudi, The Wall Street Journal reported. "The killing of Jamal Khashoggi has left the kingdom of Saudi Arabia in its weakest diplomatic position since the horrific terror attacks of September 11," Ali Shihabi, head of the pro-Saudi Arabia Foundation think tank, wrote in a report published on Friday. "In the aftermath of the understandable global outrage at the Khashoggi murder, something will clearly have to give." Shihabi called for the release of "women activists and other moderate critics of the government" who have been detained in Prince Mohammed's widely condemned crackdown on dissent in recent months.